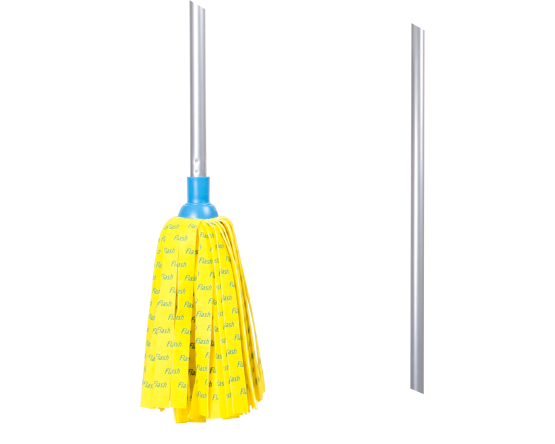 Flash 30% Microfibre Mop with fixed handle. Non-abrasive, ideal for flooring. Exceptionally absorbent, helping soak up large spillages and speeds up cleaning large areas. Streak free mopping. Dries quicker than a cotton mop.